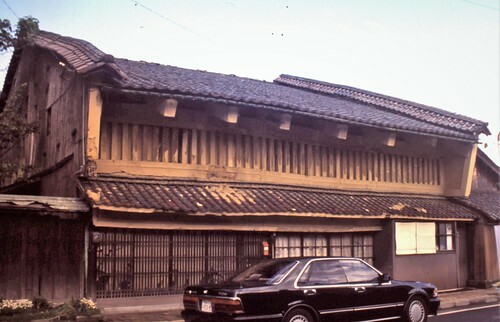 The streetside of the Oi House (Oi-ke) in Takefu is the retail side. The upstairs is living space, and the brewing space as in the back of the building and outdoors behind the house. At the time of this picture the place was vacant and the business had stopped some years before.